Church retreats and banquets, near the abundance of God's nature, make for a more spiritual getaway than those held in a sterile conference room of a hotel next to the interstate. You need peace and quiet the reflect, not the bustle of traffic. The Lodge at Wolf Ridge and the Pool Side Meeting Room provide a quiet location, serene beauty and exceptional meeting facilities. 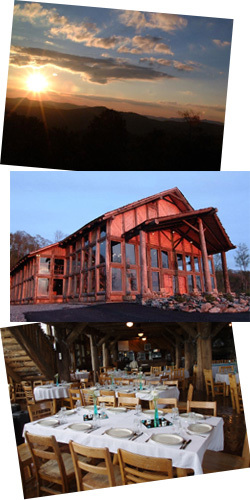 An ideal place for Church retreats or other events requiring peaceful, relaxing atmosphere.